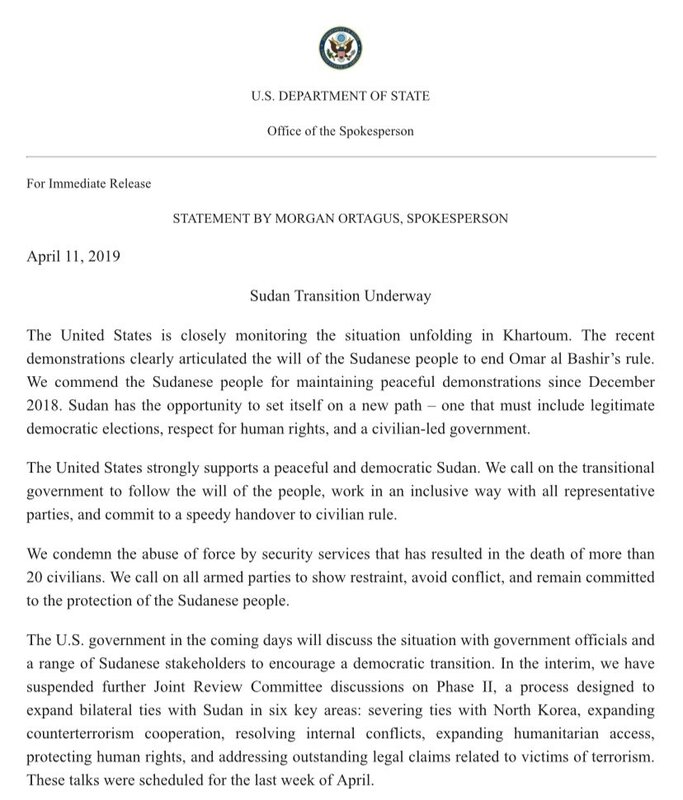 Statement issued by @StateDept on Sudan. 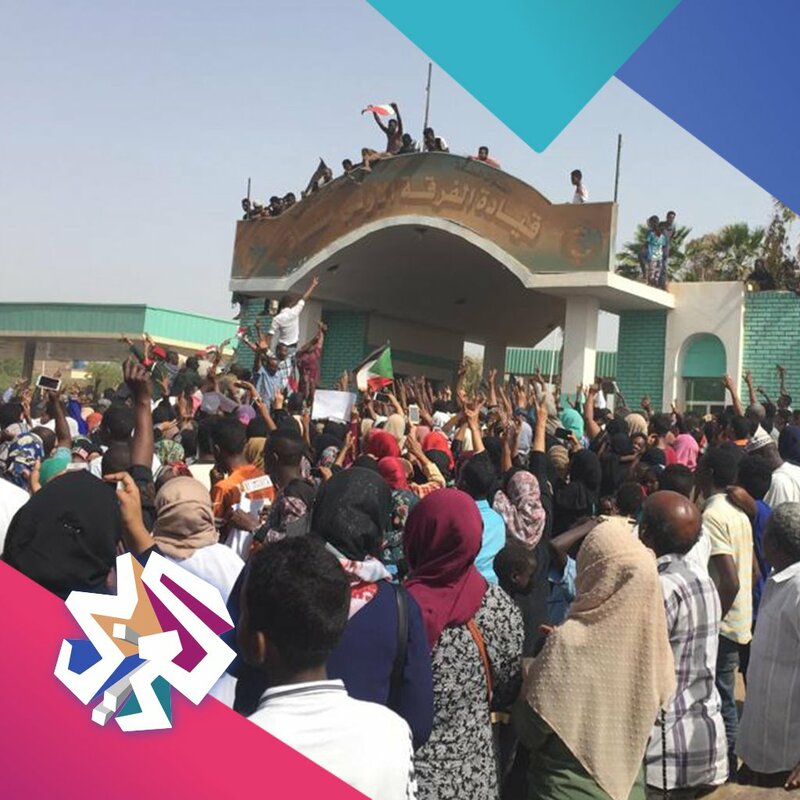 The moment political prisoners were released from the NISS detention center at Shendi Station. 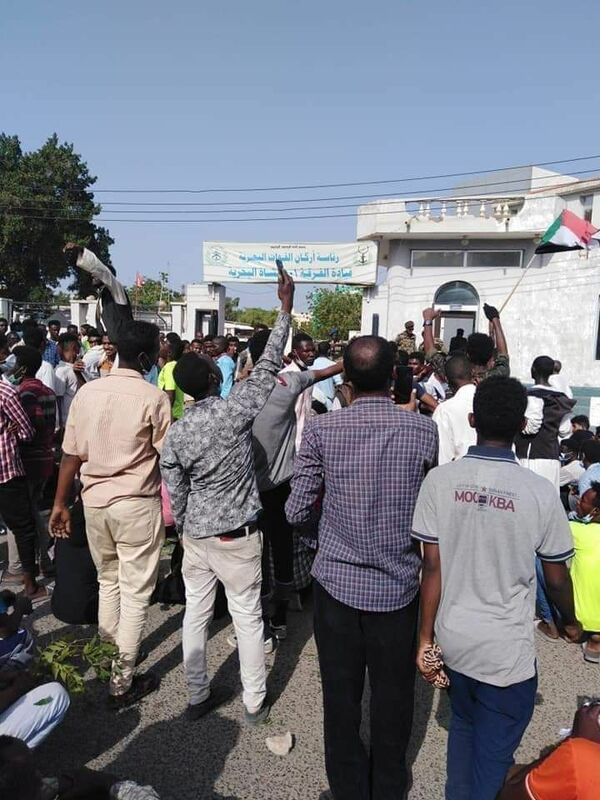 The International Criminal Court calls on Sudanese authorities to extradite Omar al-Bashir in implementation of a UN Security Council resolution. 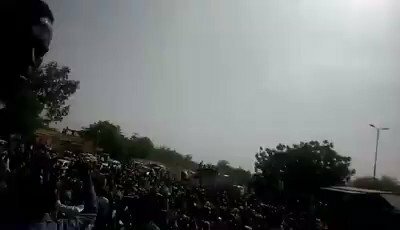 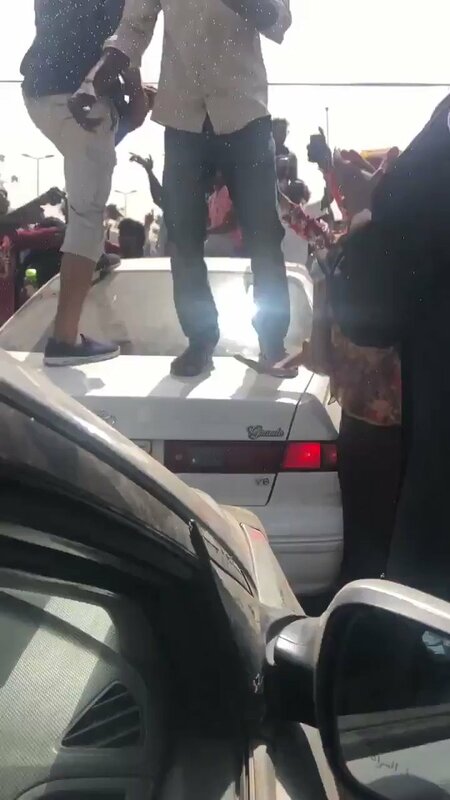 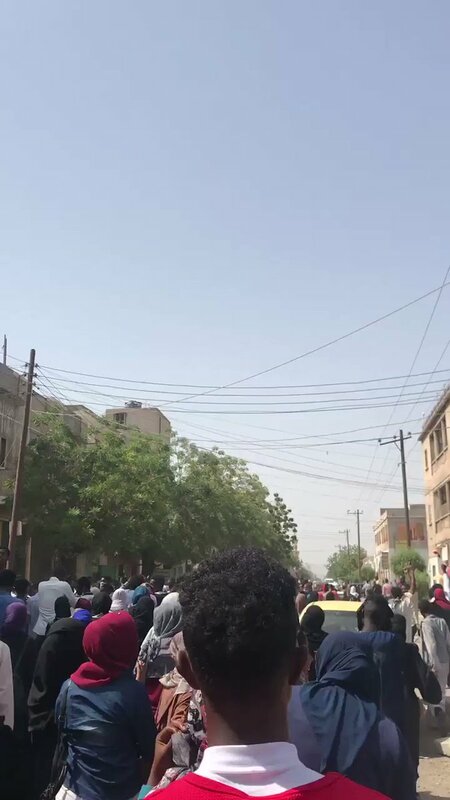 Sudanese opposition party leader Omar al-Dukair announced the continuation of the protests until the realization of the "legitimate demands of the revolution"
Sudanese Defense Minister announces closure of the country's airspace and all crossings "until further notice"
Massive protest in El-Obeid, North Kordufan this afternoon. 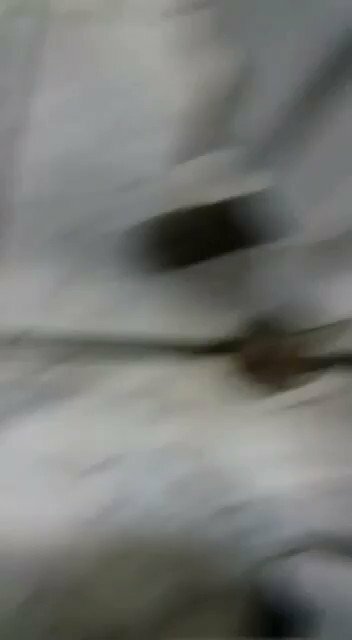 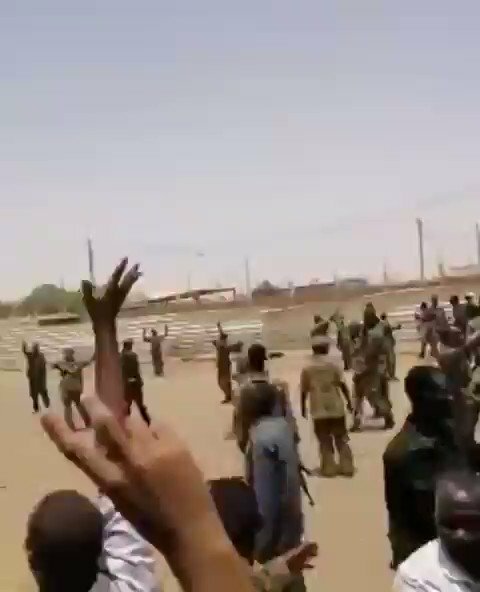 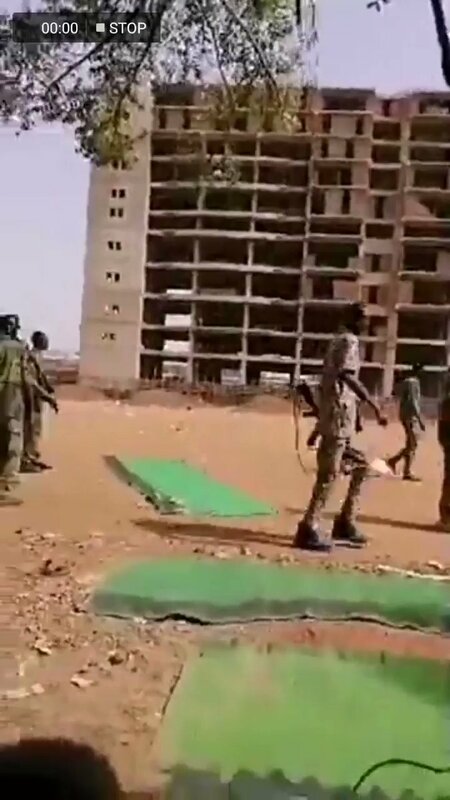 Sudan: security officers arrested by army. 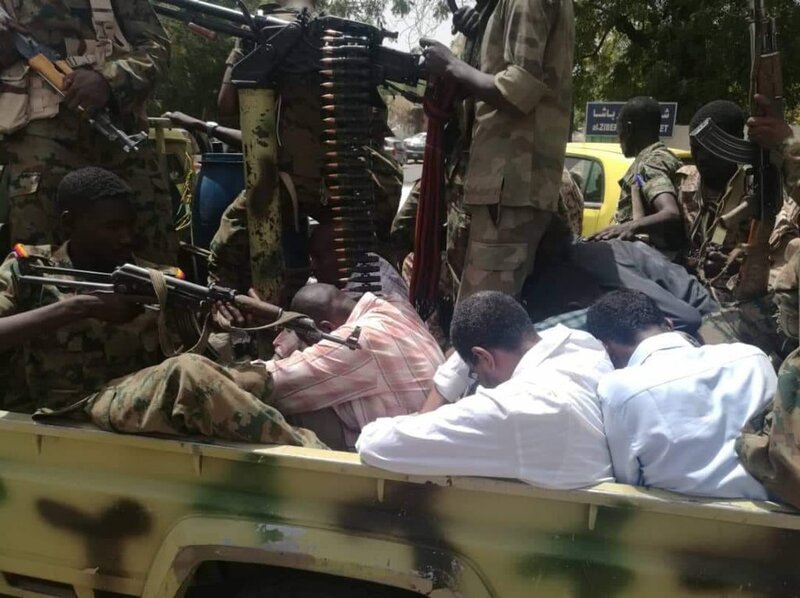 Awad bin Auf(First Vice President of Sudan and Defense minister) and Salah Qosh(Director General of NISS) arrested. 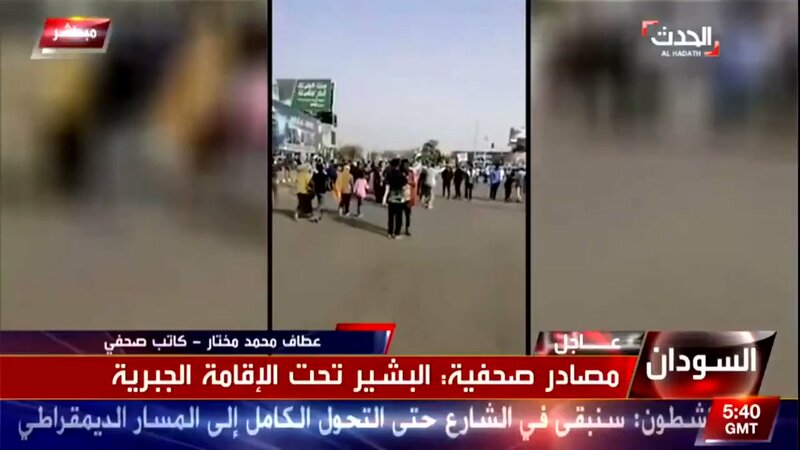 Journalist Attaf Mohamed Mokhtar: Al-Bashir's plane was banned and returned from the Khartoum airport runway on Wednesday and placed under house arrest. 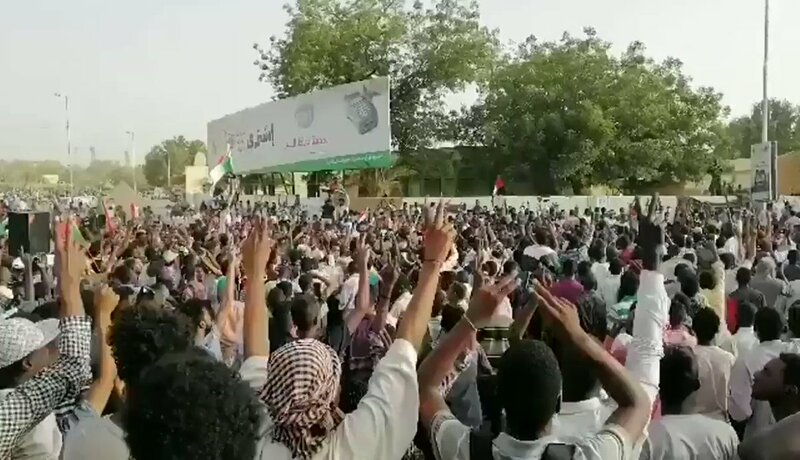 Osman Mirghani: Awad bin Auf is the leader of the coup. 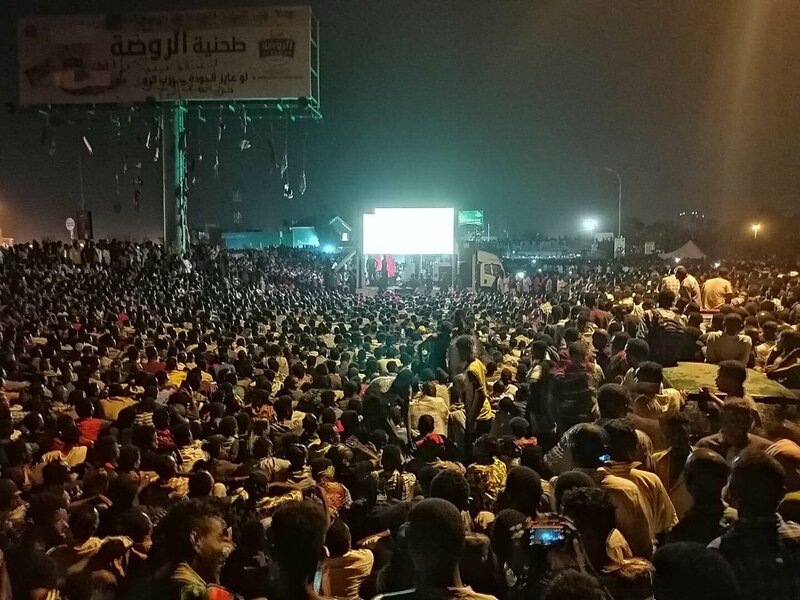 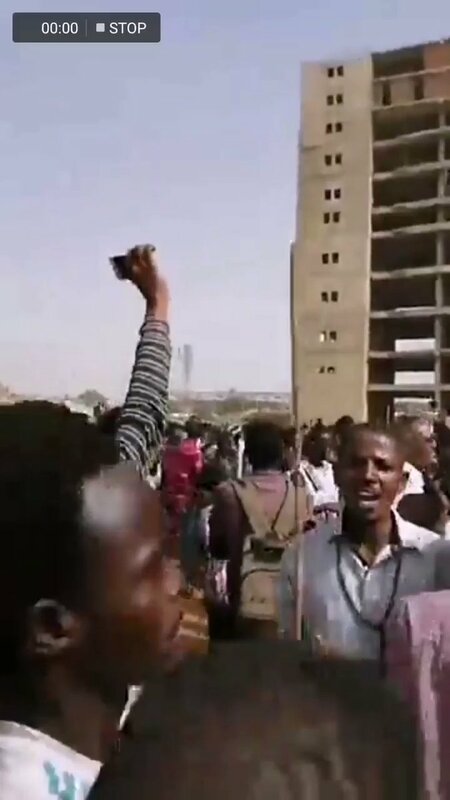 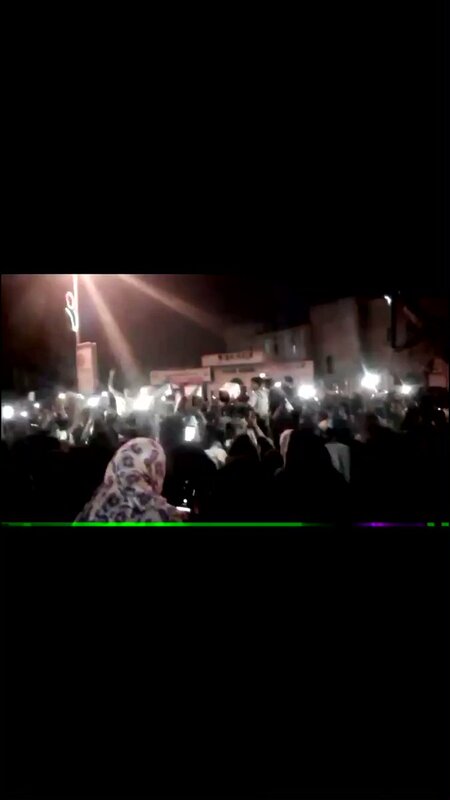 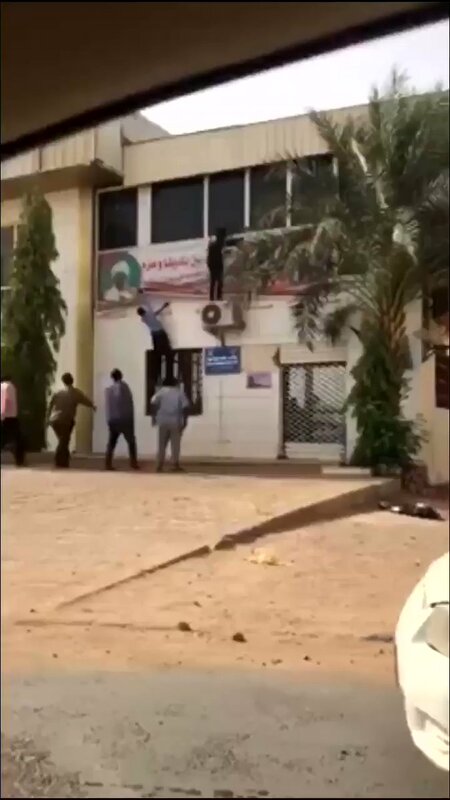 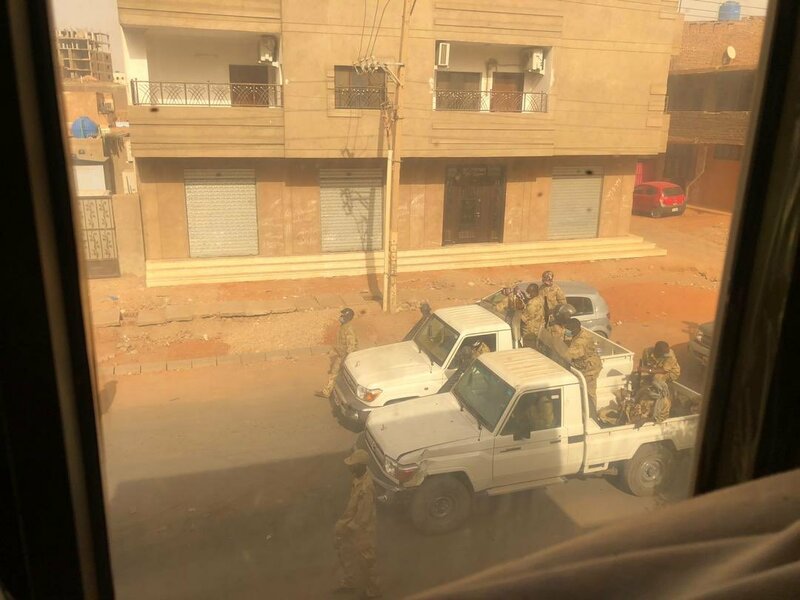 Khartoum: The protesters are watching the game in the vicinity of the General Command of the Armed Forces. 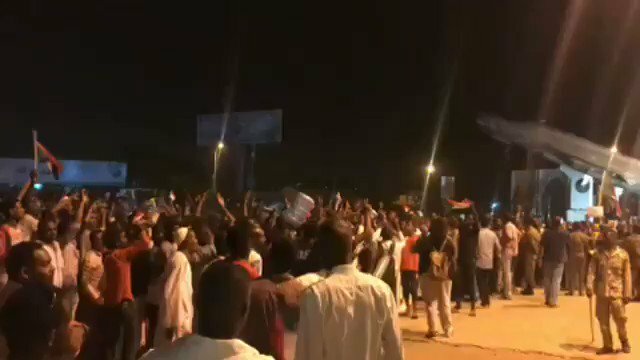 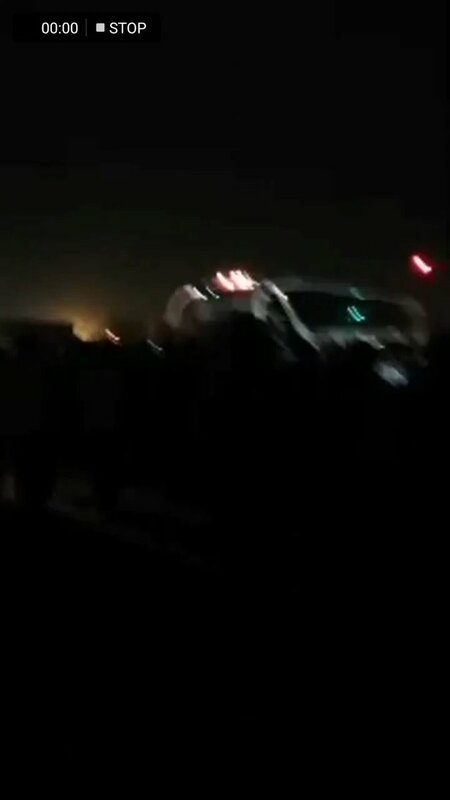 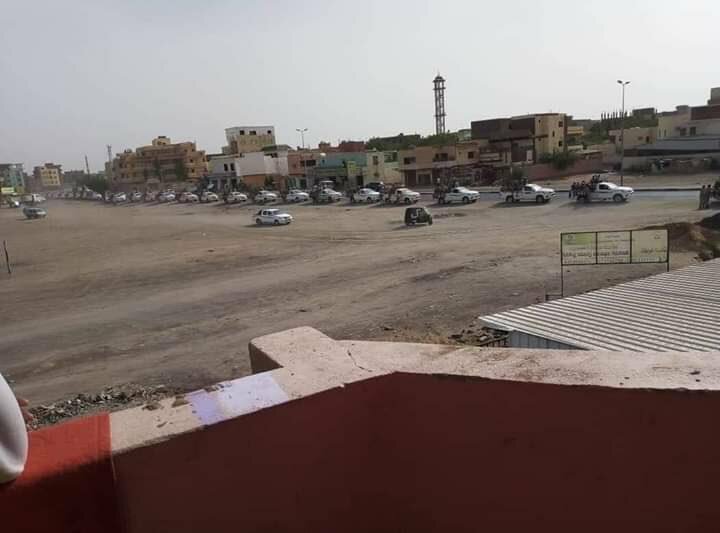 Convoy heading to Khartoum where thousands of peaceful, unarmed protestors are holding a sit-in at Military Headquarters. 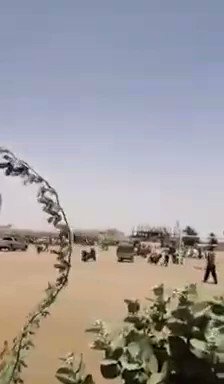 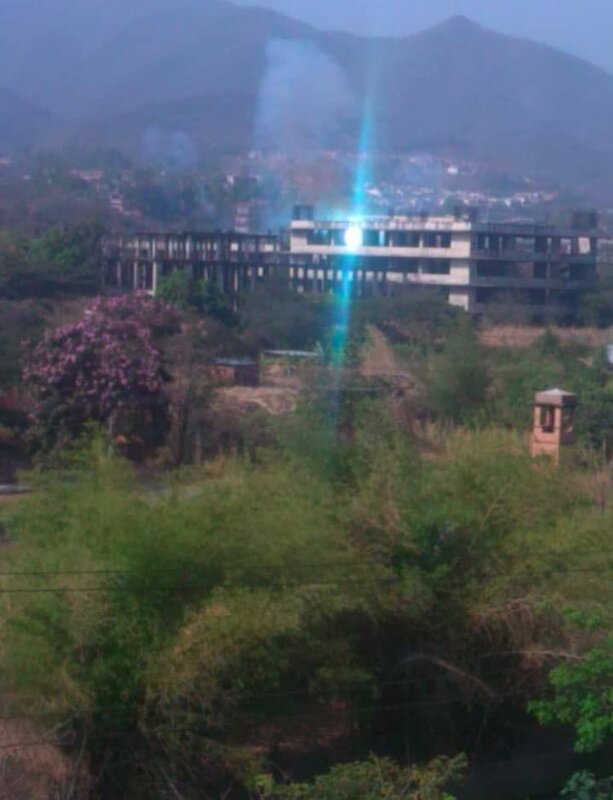 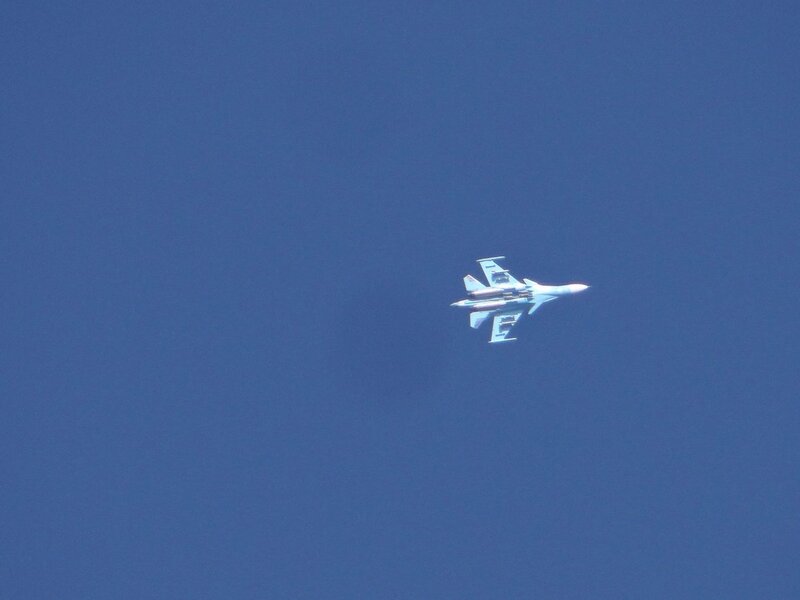 They are coming from the Jebel Awlia area and they are armed.